Two of our instructors David Mesnick and Justin Thomas are taking a continuing education course this weekend through KinetaCore. The course is “Functional Dry Needling” level 2 of 3. 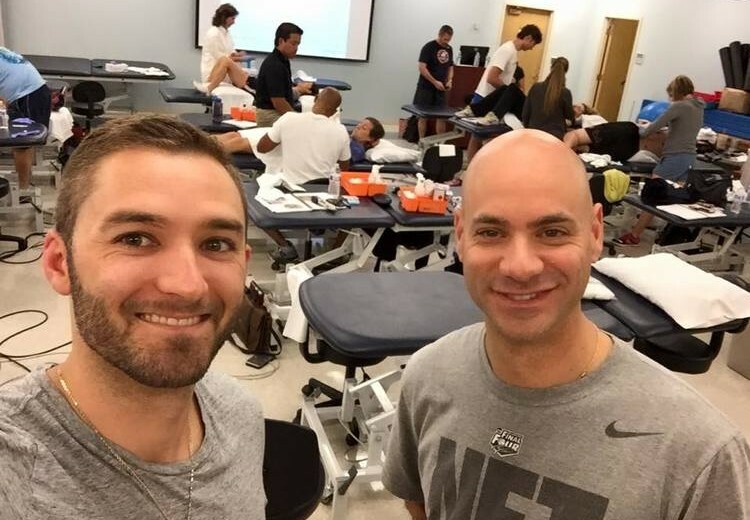 We highly recommend KinetaCore for your dry needling courses! At any given time, more than 30 million Americans experience lower-back pain, according to the American Chiropractic Association. Back pain is also one of the most common reasons people miss work, and it’s the second most common cause for doctor’s office visits, the ACA reports. Poor posture, weak back muscles and a sedentary lifestyle are major contributors to back pain. It is important to Pre screen with a Physical Therapist, running coach, or Sports Medicine Doctor before running. To calculate cadence count how many times your left foot hits the ground in 30 seconds and multiply by 2. In an effort to promote wellness we have compiled a list of the best shoes of 2016. Below you will find David’s best shoe selections for 2016.